Today I had a really fun engagement session with Jess and Nick. I love everything about this shot - the light play, their expressions, the movement in her hair and dress, the light, the shadows, the shapes, the signs... 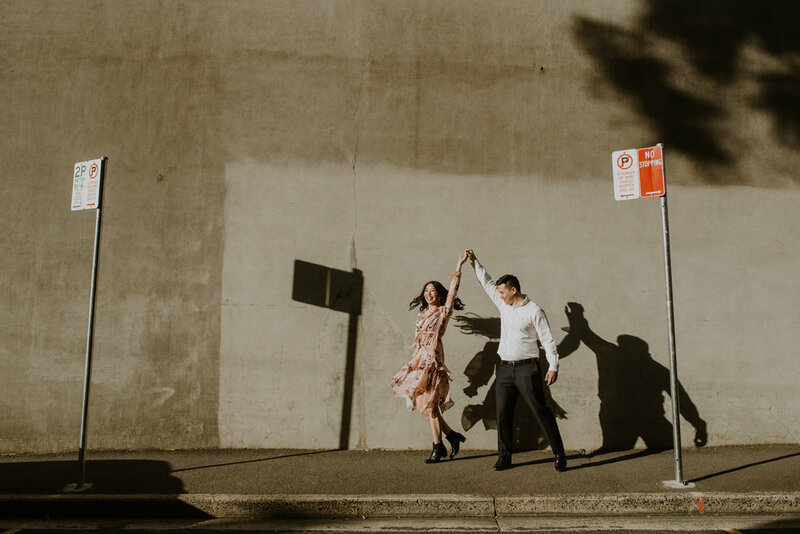 This is exactly what engagement sessions should be - let's hang and get to know each other and just have some fun!